Sensitive skins are actually the worst of all. They require frequent care and even a bit of carelessness or harmful exposure may lead to skin irritation. They are sensitive to various fragrances, parabens and harsh chemicals present in the soap and hence require extra attention while choosing the best one. 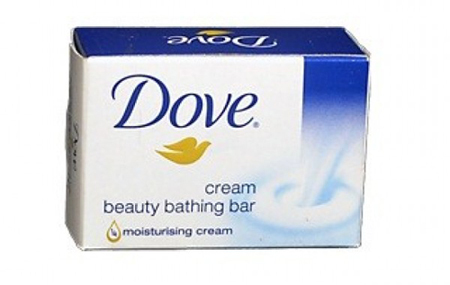 Dove Cream Beauty Bathing Bar is trusted by millions with sensitive skin problems. Since the bar is unisex it can be used by all. The rich glycerin content keeps your skin soft, supple and healthy all day long. The lingering subtle aroma keeps you fresh. Its protection formula shields your skin against pollution and keeps it moisture. The lathery formation comes handy while application. 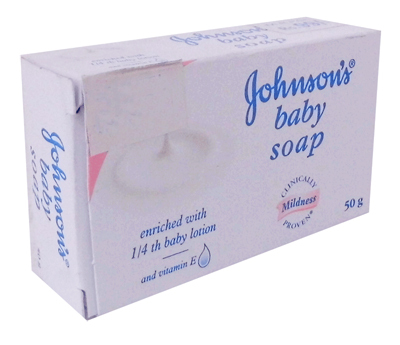 Johnsons Baby Milk Soap is the most trusted baby soap used by millions of mother’s for its mild and gentle properties. The natural milk extract with vitamin A & E keep your skin soft, hydrated and moisturized. As targeted to the toddlers, it is suitable for all skin types. 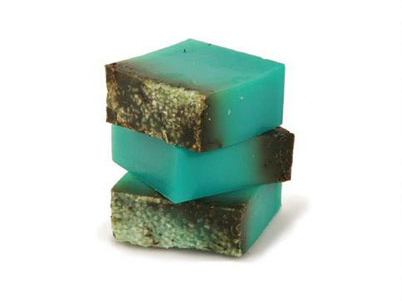 Lush Sea Vegetable Soap is refreshing from the effect of sea vegetables and sea salt. These ingredients work as the best scrub on your body. The citrus lemony, lavender and seaweed unisex aroma of the green-blue soap keep you fresh. It is also effective on skin related problems such as skin allergies, eczema, acne, etc. It is a very good cleanser too. Price in India: Rs. 285 for 100 grams. 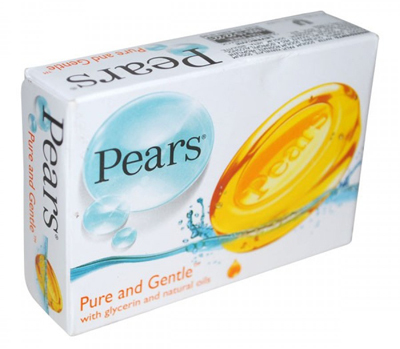 Pears Pure & Gentle Soap is popular in the market for its mild and gentle properties. Prior its launch there was no see-through bar in India. The concept thus became very popular. This sensitive mild soap is made of non-comodogenic agents and natural elements to keep your skin healthy and smooth all day long. 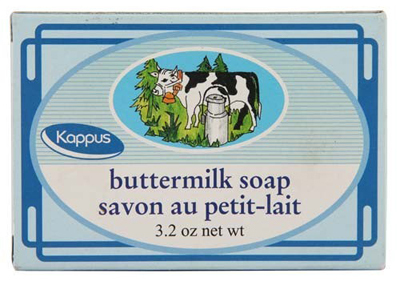 Kappus Buttermilk Soap can be used by kids and adults alike. This sensitive milk soap is mild and gentle on the skin. Enriched with the goodness of natural products like pro-biotic, buttermilk with high content lactic acid acts as astringent and cures age spots, sunburn, skin tightening and freckles to keep you young and fresh throughout the day. It is also a skin whitening bar that retains your healthy glow. 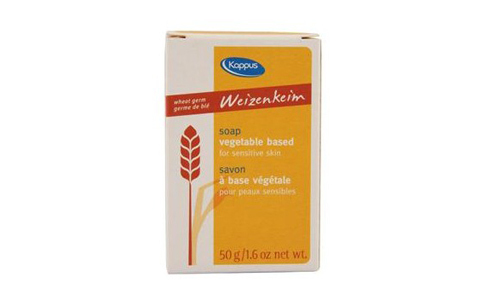 Kappus Wheat Germ Soap prevents scars, injury and stretch marks and also treats cracked, flaky and dry skin. Its anti aging formula prevents wrinkles, reduces sun damage, stimulates new cell growth, and fights free radical damage on the skin. Moreover, the protein and vitamin E content acts as skin whitening ingredient suitable for sensitive skin. 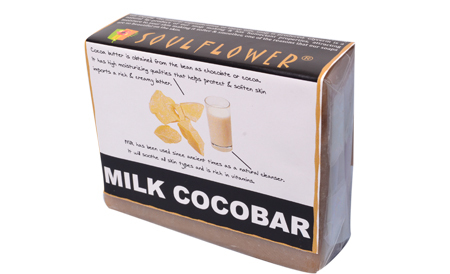 Soulflower Milk Cocobar Veg Organic Soap is dipped in the goodness of natural herbs, essential oils and vegetable oils that is best suited for sensitive skin. The creamy texture gives you a softer moisturized and white ton skin. The fresh milk, cocoa butter, palm kernel oil and coconut extracts make it an ideal bathing bar from kids as well. Pigeon Baby Transparent Soap is another transparent bathing bar that gently moisturizes your sensitive skin. Furthermore, it maintains the pH balance to keep your skin young, healthy, supple, spots free and hydrated all day long. This Herbal soap contains olive & soyabean oil that promotes regeneration of skin cells. The soap provides nutrition to the skin making it look younger, healthy, supple, spots free and hydrated. It maintains the pH balance and hence very effective for sensitive skin. 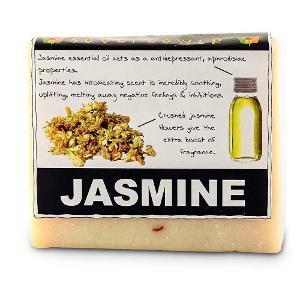 Soulflower Jasmine Soap makes your skin smooth and shiny. This unisex bathing soap is suitable for both dry and sensitive skin. The goodness of jasmine essential oil, fresh jasmine flowers, vitamin E, saponified oils of olive, coconut, palm, palm kernel and castor relief you from all kinds of stress, anxiety and tension. It also lifts your mind during common cold, cough and headache problems. The soap is also effective on blotches and stretch marks. 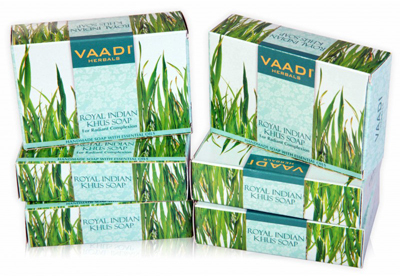 Check out the most popular soap for Newborn baby available in India. Read them too.